This is the second in a two-volume work shedding light on a remarkable range of unearthed secret projects and experimental aircraft designs developed by German aircraft designers during the era of the Third Reich. The book is the result of intense research by Ingolf Meyer, who also researched the projects contained in the best-selling Luftwaffe Secret Projects series. 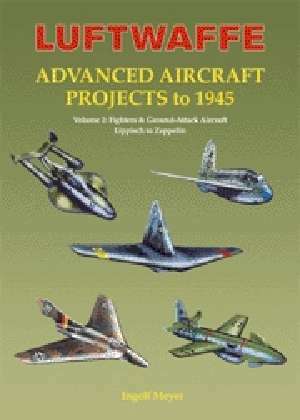 This volume covers experimental fighters and ground attack airaft projects developed from manufacturers falling alphabetically between Lippisch and Zeppelin and is packed with detailed illustrations of never-before-seen experimental projects. x 12", 176 pages, Hardbound, 190 color illustrations plus 170 3-view line drawings.